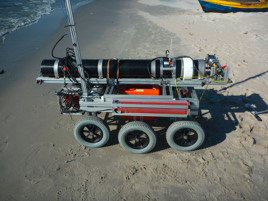 The UWMS is designed for inline, real time and in situ sampling in high temporal as well as spatial resolution. Analysis and evaluation of several thousand samples per day (up to 750times higher than established methods) take place in one step, so that one obtains the measurement result in situ and, unlike using conventional methods, without delay, and thus the sampling strategies can be adapted to the existing environment. Additionally, through the in situ use of this novel analytical tool, potential sources of errors that occur during sampling or transport to the laboratories necessary by the use of established analyzing techniques are eliminated. 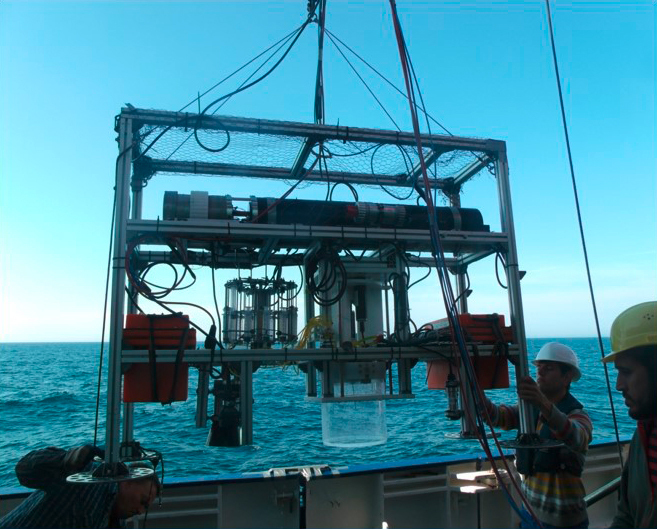 Deployed alone or paired with a new designed discrete water sampling system, the underwater mass spectrometer is an on-site analytical tool for simultaneous monitoring of a wide range of dissolved gases and organic compounds. Up to now, the UWMS has been calibrated for methane and other light hydrocarbons; volatile organic compounds (VOCs); benzene, toluene, ethylbenzene, xylenes (BTEX); nitrogen; oxygen; helium and dissolved CO2, at low concentrations. 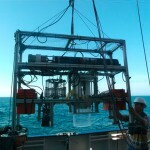 By the use of a unique cryotrap the detection limit for gases is reduced, often to parts-per-Billion (ppb) levels. For a complete overview of performance capabilities, please contact our technical specialists to discuss your specific requirements. During operation of the UWMS, water is pumped by an peristaltic pump through a membrane inlet system (MIS). Within the MIS, the water is in contact with a polydimethylsiloxane (PDMS) tubular membrane where gas permeation takes place. To ensure constant and reproducible physical-chemical conditions for the gas transfer through the membrane, the flow rate of water is controlled by the peristaltic pump, and the membrane inlet system includes a heater and a thermocouple. Through a 1/8“ capillary, the PDMS membrane is coupled to a high vacuum section which includes the analyzer. By a turbo pump the pressure inside the analyser unit is held at less than 10-5 Torr. Gases permeating through the PDMS membrane are detected by the Inficon CPM 200 residual gas analyser in the sensor housing. New advantage of the UWMS is the use of a cryotrap. We installed a sterling cooler (Ricor™ 1/2W Micro Stirling Cooler K508) between the MIS and the analyzer. Water vapour in the vacuum line is trapped in the cryotrap, which leads to an improved detection limit to all gases, often to parts-per-Billion (ppb) levels. Further information are available in the download center. 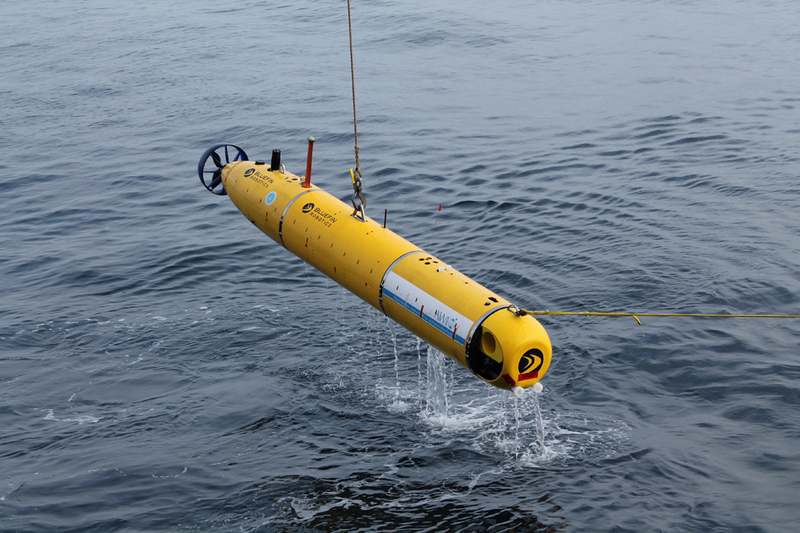 The UWMS can operate in situ or on deck using cable power or an optional battery pack without breaking power continuity. The system can log the detection data for later use or provide real-time data via communication ports. Various deployment configurations are available and already established. 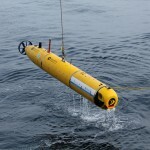 The UWMS can be deployed e.g. 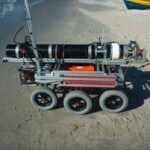 on a standard frame as a mooring system or as a payload onboard an AUV or crawler system. The presentation and interpretation of the data set obtained by UWMS is challenging and hardly feasible by 2-D software. For improved interpretation and visualization of the data, we provide you to plot the data in 3-D. Data sets obtained during sampling campaigns can be integrated by our specialists into the Geo-Information-System ArcGIS 10.0 (ESRI™). The ArcGIS Geospatial Analyst (ESRI™) is applied for computation of contour plots and inventories of e.g. methane within the water column. Please do not hesitate to contact our software specialist to get further information.